I have to admit, I went into this comparison with a pre-conception of one of them being a clear winner. I won’t say which. Turns out, Weebly and Jimdo are much more closely matched than I first thought. With that in mind, we’ll dig deep to find exactly what sets them apart which should help you pick the right website builder for you and your project. 1. Which is The Easiest To Use, Weebly or Jimdo? 2. Who Has The Best Templates? Weebly is renowned for being darn easy to use and in my opinion, a perfect platform for beginners. You create your site by dragging and dropping features around the page and editing the sample text and images. Weebly has everything you need for a functional website but at the same time, they don’t overwhelm you with “bells and whistles” that you’ll probably never use. You can also create a brand new website from your smartphone or tablet. Jimdo is also relatively simple and works in a similar way to Weebly but to me, the experience doesn’t feel as smooth. You can also create your website from a mobile device but one thing Jimdo has that Weebly doesn’t is a “Dolphin”. No, I haven’t gone mad, Jimdo Dolphin is actually a slightly more hands-off approach to creating your site and it works by asking you a series of questions and then uses your answers to create a personalized website based on the information given. Jimdo Dolphin is still in its infancy and I haven’t yet reviewed it but I plan too soon. Still, it’s a novel way to create your site that only a handful of other website builders offer at this moment in time. Ease of use summary: Both Weebly and Jimdo are great choices even if you’ve never created a website before and neither platform overwhelms you with features that you’ll never use. Having said that, I feel that Weebly gives a slightly better user experience. Jimdo allows you to create a personalized website by answering a series of questions thanks to their “Dolphin” software. I feel like I’ve given Weebly a hard time in the past for complaining about the number of templates and the fact that in comparison to other website builders out there, a little generic. The truth is, they are modern, well designed, and have sample content that you can edit to save you having to start from scratch. They may not have tons of different industries, but it’s easy enough to manipulate the templates to suit your business or project by using some good quality images. The problem that I found is that when it comes to customizing, you can’t do much beyond the fonts and basic site colors as I found out when creating my test site. Jimdo on the other hand, are seriously lacking in the template department in comparison to Weebly (in my humble opinion). First off, they only have a small selection to choose from (less than 20) and they feel a little outdated. I would love to see Jimdo have a massive overhaul of their templates and believe it would be a real game changer for them. On a more positive note, you can quite easily mold the templates to meet your needs and your site will look good and work properly on smartphones and tablets without any additional effort as with Weebly. Template summary: Both Weebly and Jimdo’s template are mobile-friendly but Weebly has a larger selection and they look a lot more modern in comparison. In this section, I want to take a look at what unique features Weebly and Jimdo have that separates them from each other. Before we do, let’s see which features they have in common. Both website builders are quite versatile and allow you to add a ton of functionality without overwhelming. Features such as image galleries, audio, video, blog, contact forms, online booking forms, eCommerce tools, the list continues. I should point out that not all features are in-house for either platform and some will require integrations from third-party companies but don’t worry, it’s not as scary as it sounds although additional costs may apply. Create a membership site: If you’re looking to create a full membership site, offer courses, or simply want to block certain pages from the public, Weebly has the tools to help you achieve it. 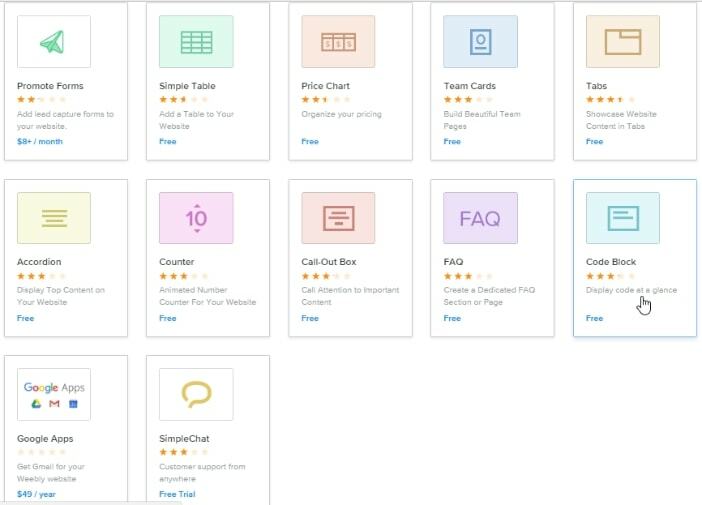 Weebly App Center: Many of Weebly’s tools and features can be added directly from the main website editor but you’ll find plenty more inside the Weebly App Center. Some are Weebly’s own and others are designed specifically for Weebly by other companies. The best part about the App Center is that all of these features can be found in this central hub and can easily be installed with just a couple of clicks. Weebly Promote: Weebly’s in-house email marketing solution which allows you to build your email list and then connect with your subscribers. Use Jimdo in a variety of languages: Jimdo is truly a global website builder and to prove it, they allow you to choose between English, German, French, Spanish, Japanese, Italian, Dutch and Swedish. Perfect if English isn’t your first language. Create a multilingual site: As well as using Jimdo in a variety of languages, you can also create a bilingual or multilingual site if you wish to target users in countries with a different language to that of your own. Free personalized email address: When you sign up to one of Jimdo’s premium plans (more on pricing shortly), they’ll throw in a free email address to match your domain name for the first year. This may not seem like a big deal, but I can’t think of another website builder that offers this feature off the top of my head. Weebly has partnered with Google’s G Suite to offer this but it’ll set you back an additional $45 per year. Features summary: Both Weebly and Jimdo offer the features you’d expect and need for a personal or business website. Weebly makes adding these features easier thanks to their “App Center” and also allow you to create a membership site. Jimdo is a great choice for anyone whose first language isn’t English. You can use Jimdo in 8 languages and create a bilingual or multilingual website. They also throw in a free email address to match your domain name for the first year. If you intend on setting up a small to medium sized store, Weebly and Jimdo can take the strain and are respected store builders. Having said that, it’s important to remember that Weebly and Jimdo are more generic website builders and not specialized eCommerce platforms. The reason I’m telling you this is, if you’ve got a larger project in mind, it’s also worth checking out eCommerce solutions as it’ll save you a ton of headaches down the road if you find you find you’ve outgrown Weebly or Jimdo. eCommerce Summary: This one’s a close call. Both platforms give you the tools you need to sell physical or digital products online and both sets of eCommerce tools are a pleasure to use. I prefer Weebly’s online store templates but I think Jimdo has a stronger focus on eCommerce and for me, is where it shines. 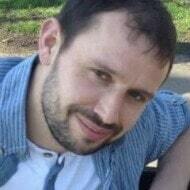 In my experience, whether you pick Weebly or Jimdo you’ll be in safe hands. Weebly has written tutorials as well as a Youtube channel packed full of videos covering just about every aspect of creating your website. Should you need to speak to a real person, you can pick up the phone, jump onto live chat, or use their ticket based email support system. Jimdo has a community support forum which includes a 40-minute video of a Jimdo site being created from scratch which I found very useful when creating my test site. Jimdo doesn’t offer phone support so if you need help in real time, you can use live chat and they also provide support via email. I’ve tested the live chat feature and email support for both platforms and was pleased with the timely help I received from both friendly support teams. I should point out that phone and live chat opening times will vary depending on where in the world you live. Support summary: Both platforms have plenty of training to help you set up your site. Weebly provides support via phone, live chat, and email whereas Jimdo offers live chat and email. First off, both platforms offer a free plan which allow you to test things out before deciding whether or not to commit. You won’t need to enter your credit card details, and there isn’t a time limit on how long you can operate your free site. You will however, find certain features have been restricted and you’ll have to put up with small discreet ads. Out of the two, I think Jimdo is the most flexible on the free plan. 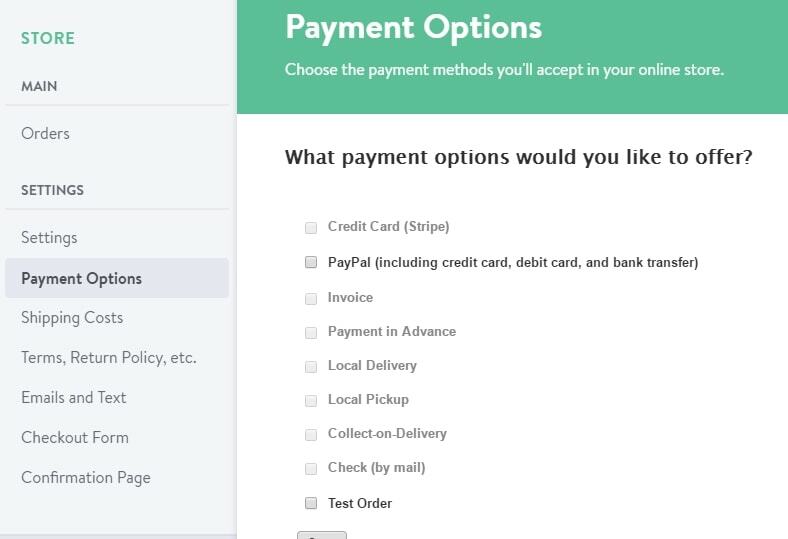 Weebly has 4 premium plans to choose from depending on your requirements and they range from $8 to $38 per month based on a 1-year contract and billed annually. Jimdo has a slightly simpler pricing structure with only two premium plans which ate $7.50 or $20 per month. Again, these prices are based on a 1-year contract and billed annually. Both platforms offer you a free domain name (web address) for the first year. Jimdo also throws in a free personalized email address for the first year to match your domain. Pricing summary: Both offer a free plan. 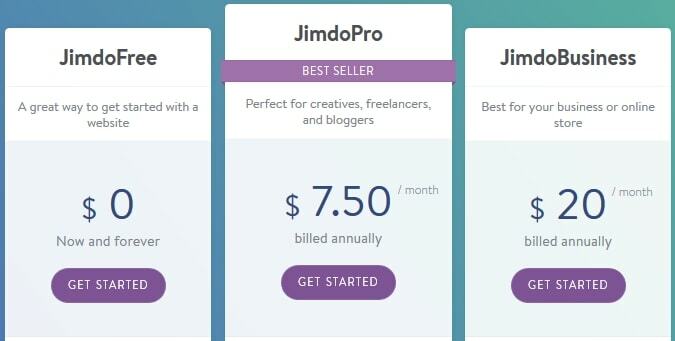 Weebly’s premium plans range from $8-$38 per month (billed annually) and Jimdo only has two plans at $7.50 & $20 per month (billed annually). Jimdo will give you a free personalized email address for the first year saving you around $45 in additional costs. As I said at the beginning, after completing this comparison, I’m surprised as to how close these two are. They’re both easy to use, have enough tools allowing you to create a functional website, and there’s not a huge difference in pricing unless you choose Weebly’s most expensive plan. With Weebly, I prefer their templates as they appear much more modern and the App Market makes it easy to install features in just a couple of clicks (read my full Weebly review). Jimdo on the other hand, would be a serious consideration for me if I was going to create an online store. In addition, it’s a better choice for anyone whose first language isn’t English and/or wants to create a multilingual site (read my full Jimdo review). If one of the has caught your eye after this comparison, great. If not, I highly recommend creating a free account and spend a little time with them both, That should give you a much better idea of which one will suit you best. Visit Weebly – Take Weebly for a free test drive. Visit Jimdo – Start creating your free website. If you have any questions or you’d like to share your experience with either Weebly or Jimdo, let me know in the comments section below and I’ll get back to you as soon as humanly possible!